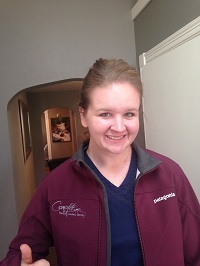 Happy one year anniversary to our amazing dental assistant, Cindy! A great dental assistant can change a dentist’s life, and I am living proof of that. Cindy makes me a better dentist, a nicer boss, and a better wife when I get home from work. This girl knows my next move before I do. She’s happy every day and excited to learn and implement new techniques and materials. Thank you Cindy, one of my most favorite people in the world!